Did Georgian troops fight with smuggled German guns? 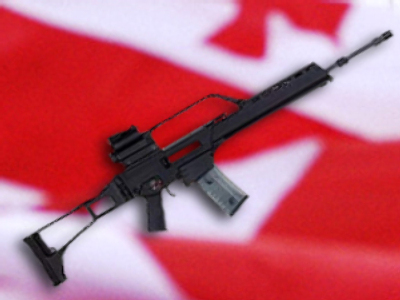 Elite Georgian soldiers fighting in South Ossetia were illegally armed with German HK G36 assault rifles, according to reports. The ‘Report Mainz’ programme, made by German public broadcaster ARD, showed images of Georgian soldiers with German-made assault rifles slung over their shoulders. It’s not clear how the guns ended up in the war zone. All arms export in Germany must meet certain criteria to be approved by the Government. Its laws state that exporting arms to conflict zones is banned. But the German Economics Ministry insisted it never issued a permit for the arms export to Georgia and suggested they must have been supplied illegally. The weapons producer Heckler & Koch refused to comment.